This is one of those glaze recipes that’s a definite keeper. It’s super adaptable … steep any tea in warm milk and voilà! A subtle, fragrant glaze that will keep you coming back for more. If using this glaze with a recipe, consider steeping the milk in the recipe with the tea as well. In this case, the milk is portioned from the Earl Grey Amish Friendship Bread Tea Cake recipe. A classy, fragrant glaze that's easily adaptable. Warm 1 cup milk in the microwave for 30 seconds or until hot but not boiling. 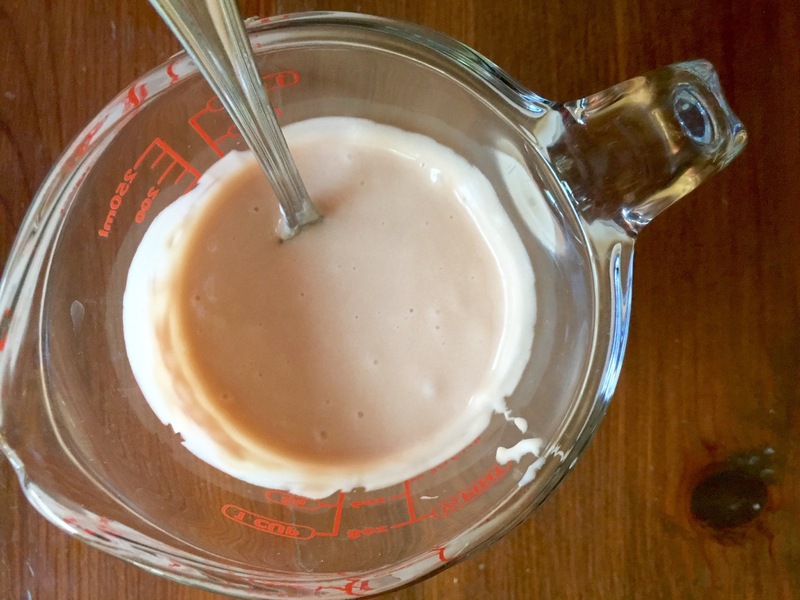 I used a heat-proof glass measuring cup. 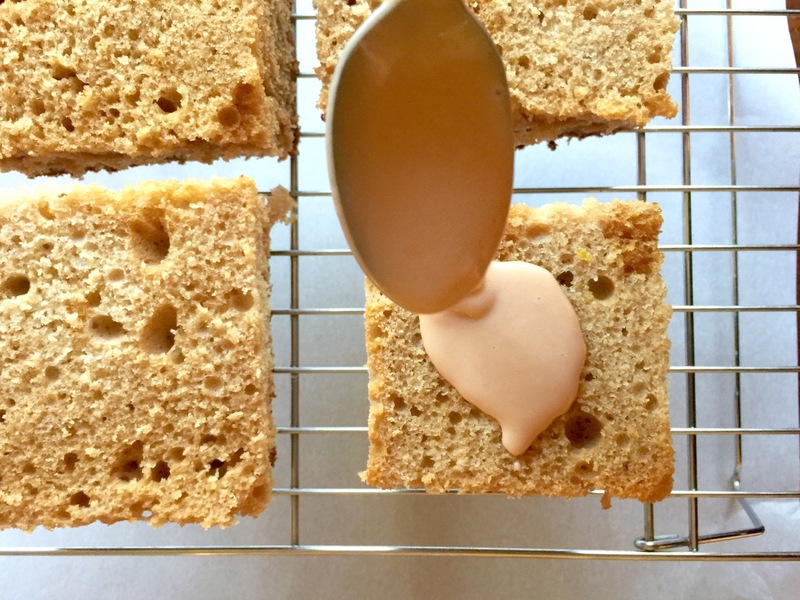 You can skip this step and the next step if you already have 3-4 tablespoons of Earl Grey steeped milk from the Earl Grey Amish Friendship Bread Tea Cake recipe). Steep 3 Earl Grey tea bags for 15 minutes, squeezing the bags with a spoon from time to time. 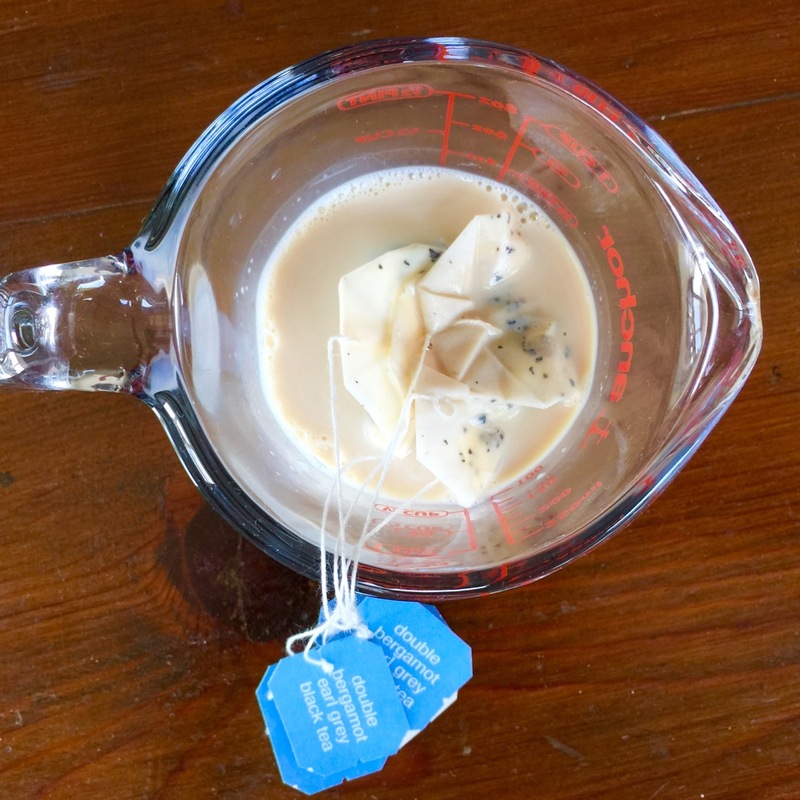 Remove tea bags and allow milk to cool. Add sugar, butter and 4 tablespoons of the tea-infused milk in a heat-proof bowl and mix with a handheld mixer on medium speed until incorporated. Add purple food coloring if you'd like a lavender tint to the glaze. Mix well. Microwave for 15-30 seconds and mix again until glossy and smooth.